And one unhatched egg left behind. 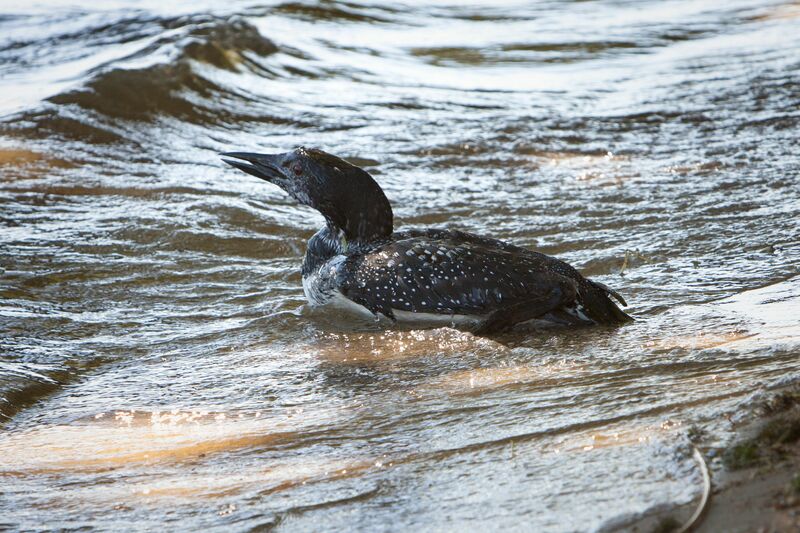 Given that this loon pair didn’t nest at all last season, this is great news to have one chick doing well. 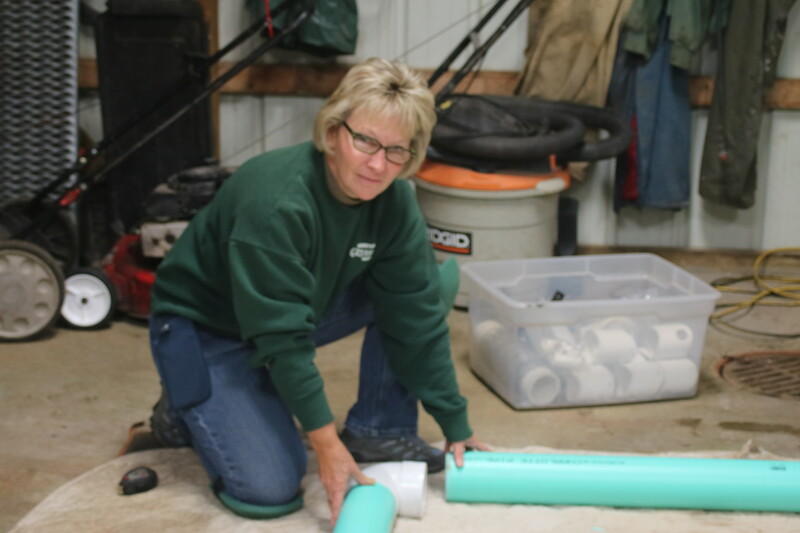 Thanks to Beth Stewart for maintaining the rafts in two coves. Posted by Jeff Lange on June 15, 2017 in Cool New Things, Lakes Restored, Uncategorized and tagged ANI, Crooked Lake, northern michigan, Petoskey. 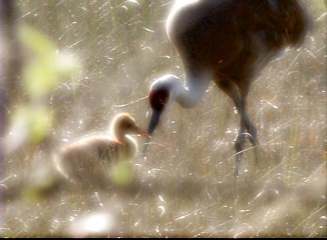 The next presentation of the film The Dance of the Sandhill Crane will take place Saturday, March 25 at Woldumar Nature Center in Lansing. The film will be shown at noon, followed by questions and discussion (and perhaps a few short films), time permitting. Visit the Woldumar website for more information and directions. Hope to see you there! Posted by Jeff Lange on March 15, 2017 in Uncategorized. 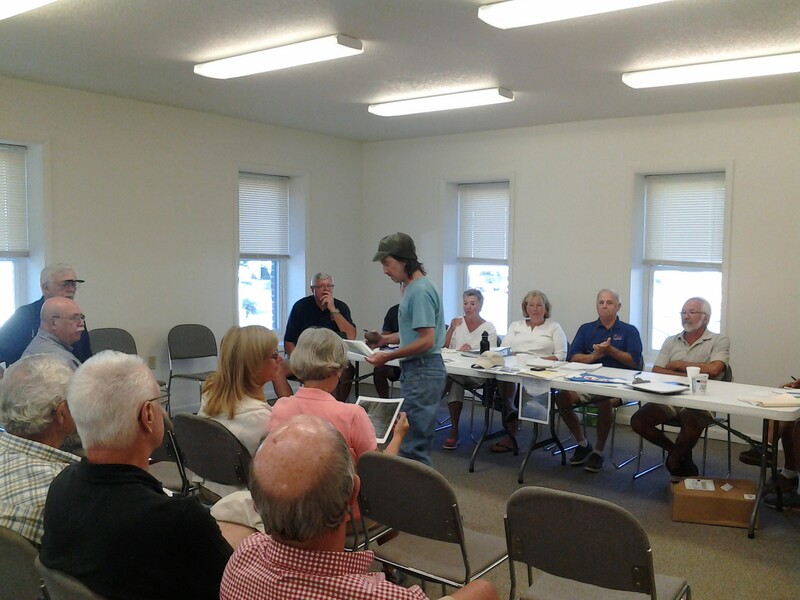 Lee Anne and I attended the August meeting of the Pickerel-Crooked Lakes Association held at the Inland Water Route Historical Museum in Alanson Saturday morning. 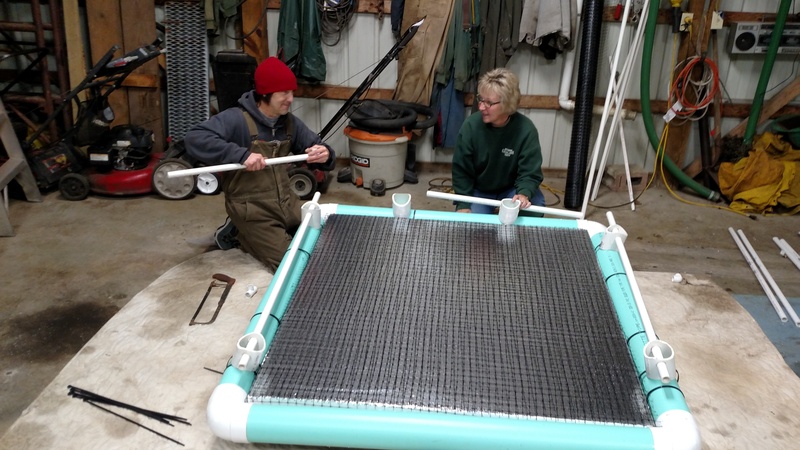 I shared a brief account of our breeding loon restoration plan for the Round, Crooked, and Pickerel lakes chain, specifically the installation of new nesting rafts in strategic locations around the lakes to replace nesting sites lost or developed in the past. 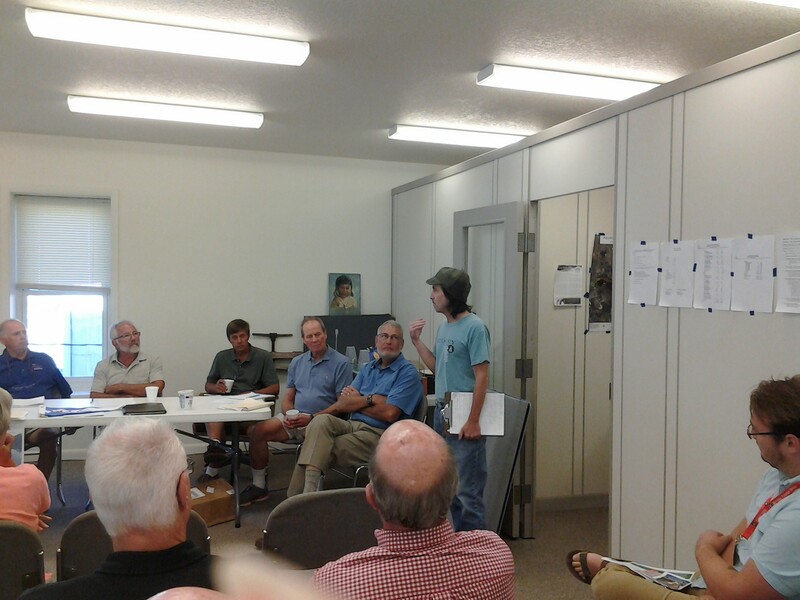 Sticking around for the rest of the meeting, I was especially impressed with how this group encouraged their member lake residents to develop greenbelt zones along their lakeshores, which reduce erosion, filter runoff into the lake, and discourage loitering geese. Learning stuff like this is one of the many benefits to joining PCLA, making the nominal membership fee more than worth the money. Posted by Jeff Lange on August 7, 2016 in Lake Profile, Lakes Restored, Public Appearances and tagged artificial nesting island, Crooked Lake, Loon nesting raft, Looncorps, PCLA, Pickerel Crooked Lakes Association, Pickerel Lake, Round Lake. 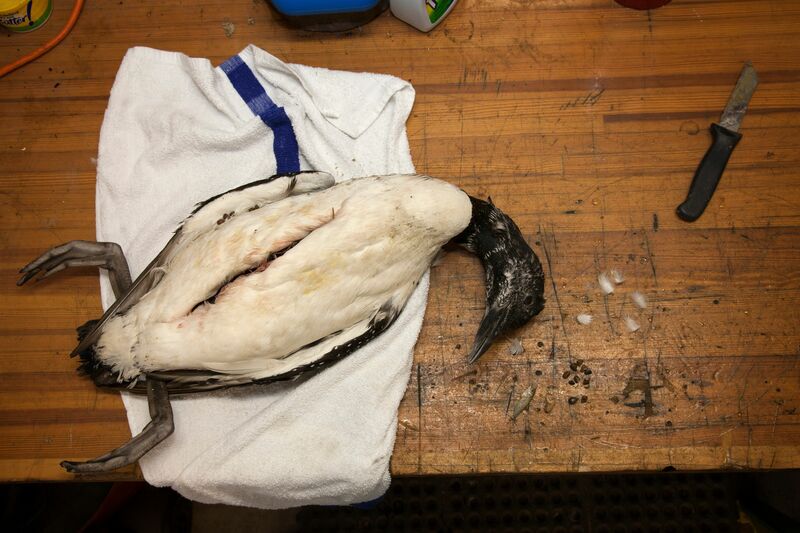 Posted by Jeff Lange on August 6, 2016 in Uncategorized and tagged common loons, Looncorps, Michigan Loons, Michigan Threatened Species, Pellston, Round Lake, The Uncommon Loon, U of M Biological Station. I just want to take a moment to thank the PCLA Board for voting to give Looncorps a very generous donation in summer 2016. 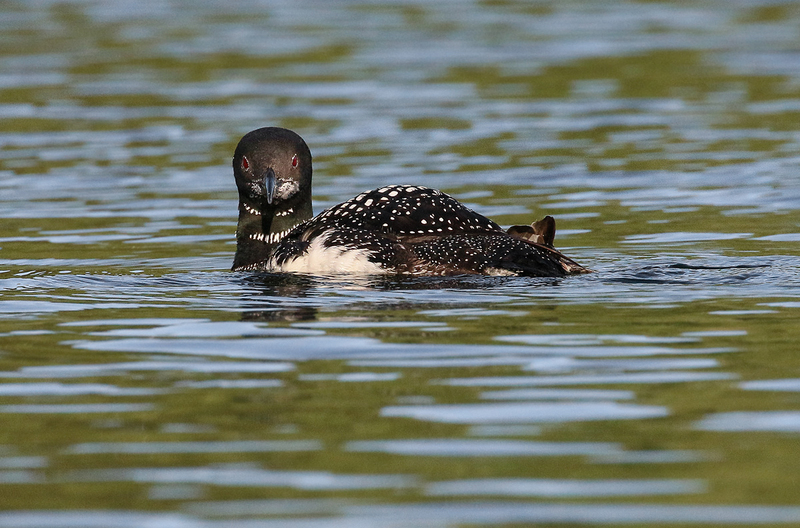 We are continuing to make efforts to establish a viable breeding loon population in the Round, Crooked, Pickerel Lakes chain, and hope eventually to have several breeding loon pairs on these lakes. I believe Crooked alone can support three pairs, Pickerel perhaps two pairs, and Round has an outside chance for two. Currently, Crooked Lake has a solid breeding pair (though nesting wasn’t successful this season as it was in 2015). Two additional rafts have been out here in the last couple years, but have not been used so far. 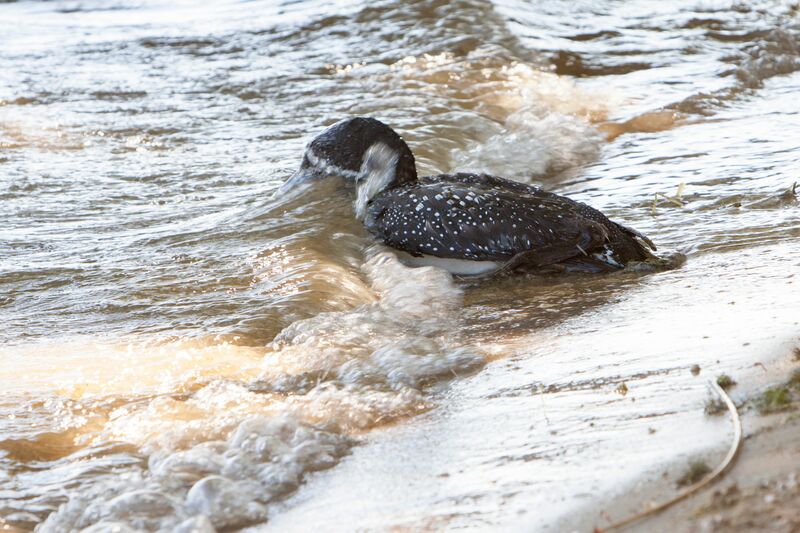 Pickerel had a male die on the nest in 2015, though I’m not sure if that was a nesting loon, or that he boarded the raft because of the stress of the aspergillosis he was afflicted with. 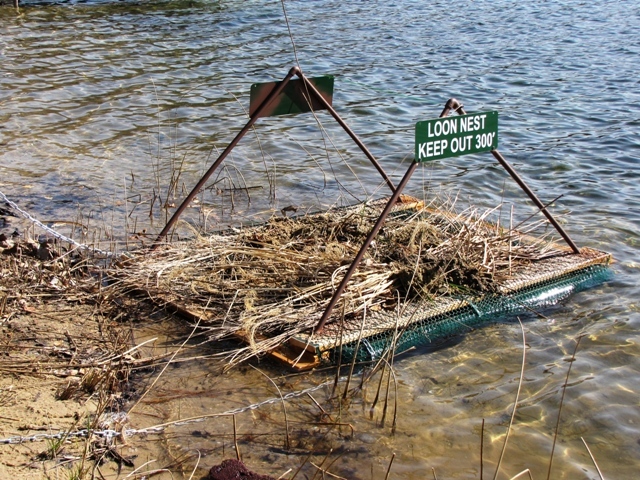 Pickerel has two nesting rafts waiting for a breeding pair. Round Lake has suffered a 4-year hiatus in nesting ever since the nesting loons were ejected from their nest in 2013 by intruding loon(s). We’re still waiting for them to sort out who will own the territory. Making multiple nesting sites available on these lakes is important because the young that migrate from here will return some day seeking a territory, and we hope they will select one on or adjacent to the lake they hatched from. So, thank you PCLA for your very generous donation, and be assured it will go to establish nesting and further the nesting success of loons on the two lakes. This very beneficial group operates from the funds generated by its members. Click here to join this organization. 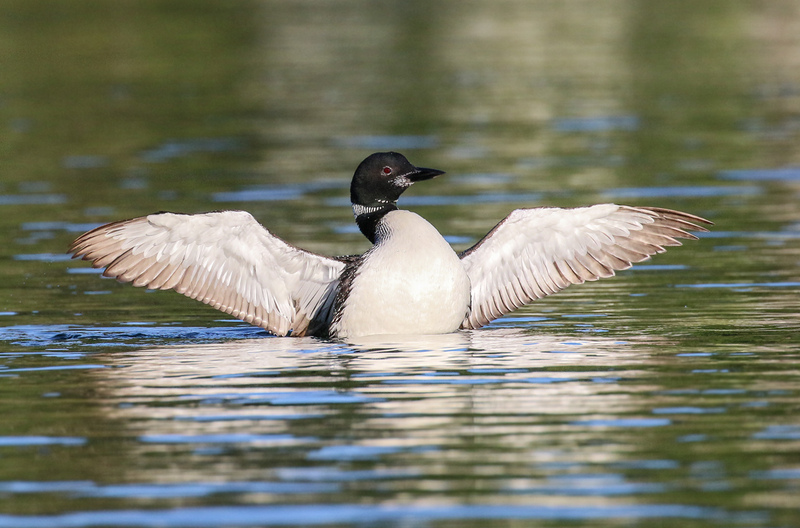 Posted by Jeff Lange on July 13, 2016 in Cool New Things, Lake Profile, Lakes Restored, Uncategorized and tagged common loons, Crooked Lake, Emmet County, Loon nesting raft, Looncorps, Pickerel Crooked Lakes Association, Pickerel Lake, Round Lake. 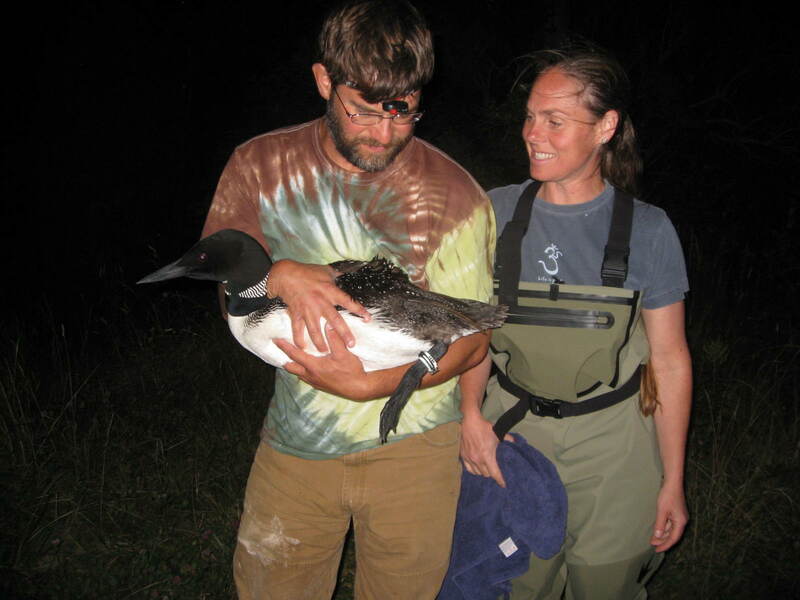 Three years ago, several Round Lake residents reported a flurry of loon activity; blood-curdling calls, etc… lasting much of the night, a day or two before the loon eggs were scheduled to hatch. 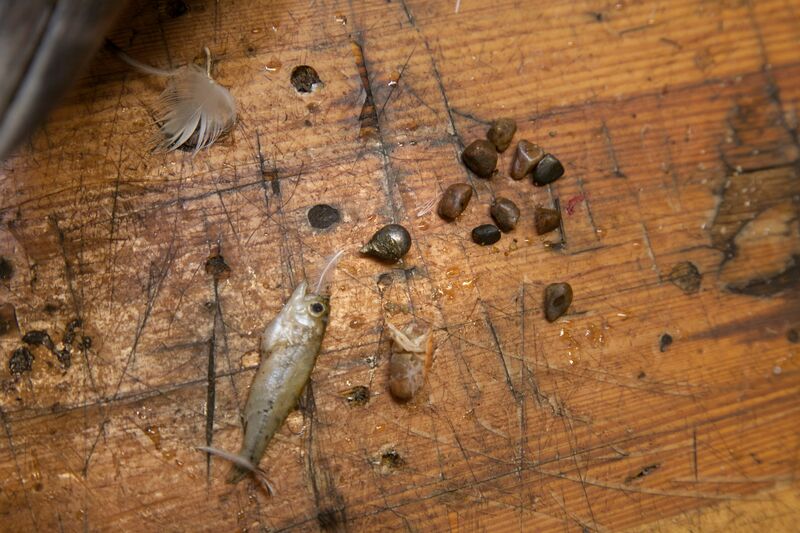 Sure enough, the next morning, the sitting loons were off the nest, having left the two unhatched eggs behind. It would seem a serious fight had taken place during the night. Since then, loons had returned to Round Lake, but none had attempted to nest. Round Lake appeared to be in breeding purgatory: where ownership of the territory was in transition. We all wondered whether any of the loons, once they began nesting again, would consist of either of the former pair. 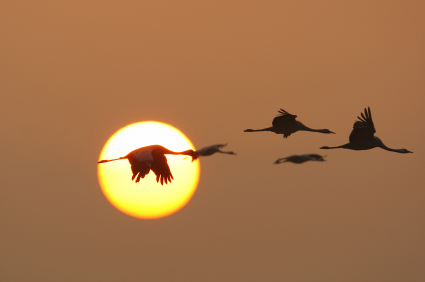 The female had been banded in 2010, the male in 2012, along with all chicks from those nesting seasons. Well, it seems that neither of those previously tagged loons claim any ownership of the Round Lake territory. 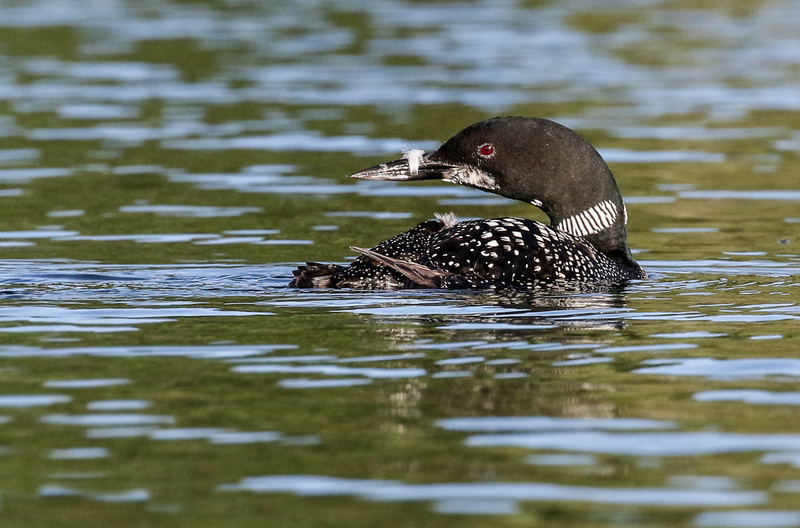 Damon McCormick from Common Coast visited the lake in mid-April, observed a loon pair, one of which was a yodeling male, and remained on the site long enough to tell neither wore any leg bands. We’ll know, of course, for sure once these or any loons take up nesting there. But from this observation, it would seem Round Lake has a brand new territorial loon pair. 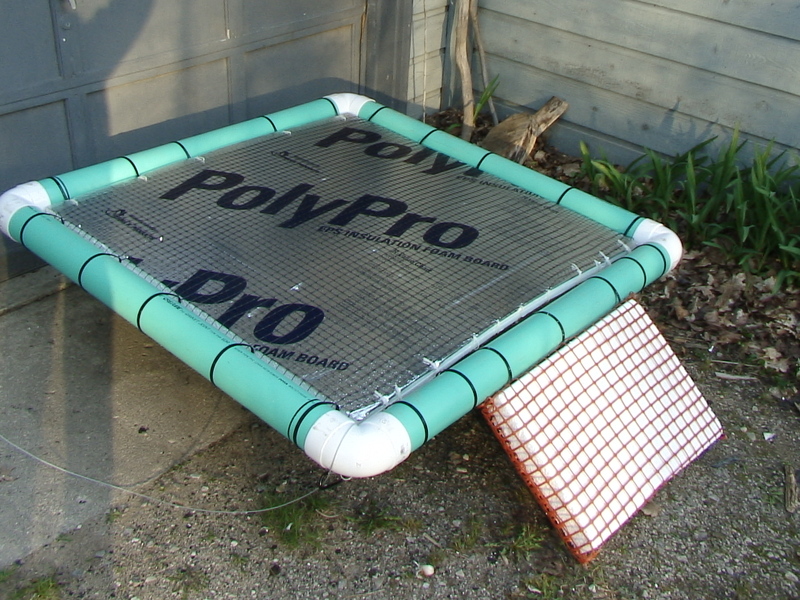 Ron Pool placed the nesting raft last week, so we’re hopeful nesting is in the works this season. Posted by Jeff Lange on April 27, 2016 in Cool New Things, Lake Profile and tagged artificial nesting island, common loons, Damon McCormick, Emmet County, Jeff Lange, Looncorps, Round Lake. 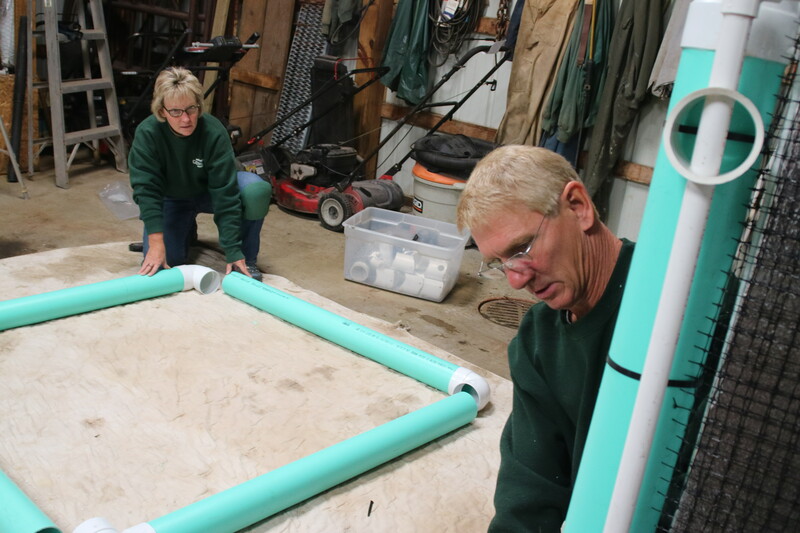 In early April Ron and Lori Pool and I build three new loon nesting rafts for breeding lakes throughout Northwest Michigan, one for a Grand Traverse County lake, one near Charlevoix, and one for Thumb Lake. 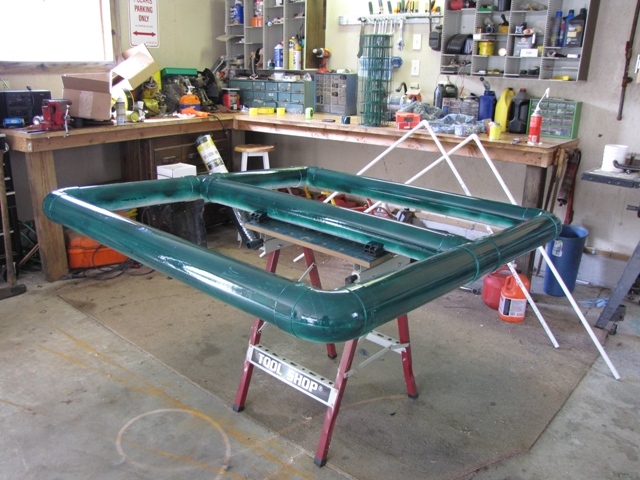 Rafts this season are lighter, using schedule 30 rather than the heavier schedule 40, have a pleasant aqua color, and have a foam center with a foil backing, which should prevent flaking. 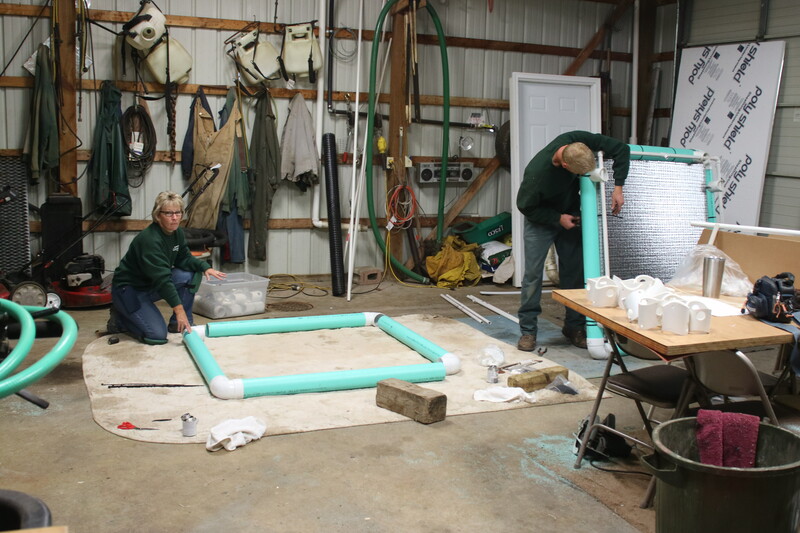 We did the prep work for 2 additional rafts, which was a good thing because I took an order for another lake near Traverse since we’d finished. 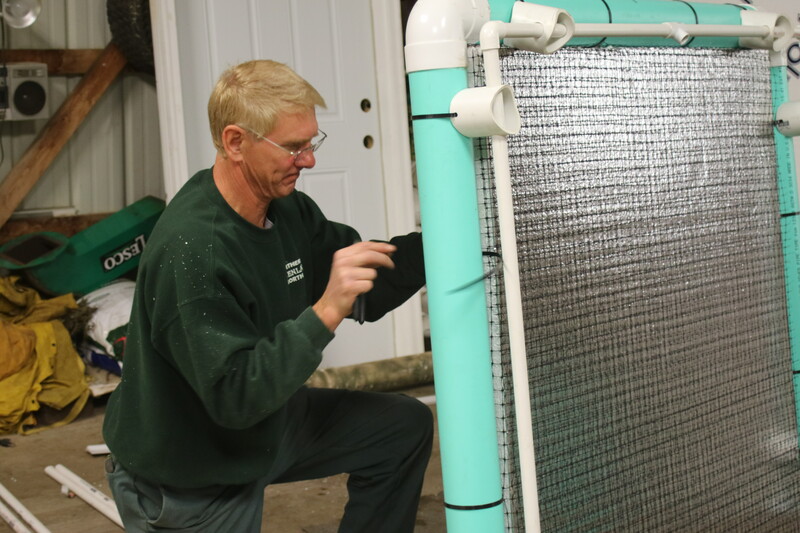 Thanks to Ron and Lori for their time and donation of materials, and to their landscaping business, Northern Greenlawn North, for the heated garage we used. 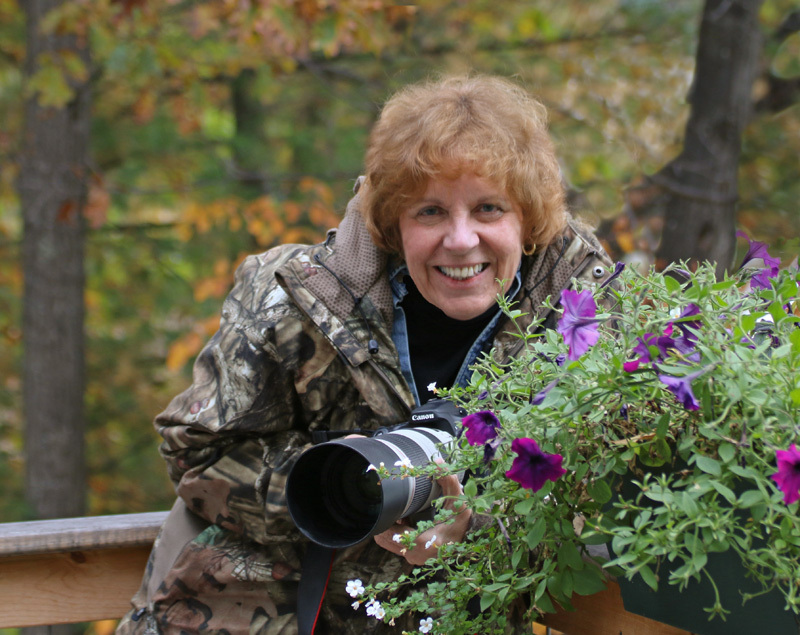 Posted by Jeff Lange on April 21, 2016 in Cool New Things, Lakes Restored, Uncategorized, Volunteer and tagged common loons, Jeff Lange, Loon nesting raft, Lori Pool, Northern Greenlawn North, Ron Pool. When John Lehman stopped by today to bring the latest donations from the Donation Canisters he monitors, I realized I’d meant to update our supporters and readers of our 2015 projects. I was going to highlight all of the successes Looncorps has had in 2015, but rather than try to list them, making this an exhausting list of things you’ve most likely read about already, I’m just going to say the Crooked Lake loon story is, by far, the most unexpected good news of the year. 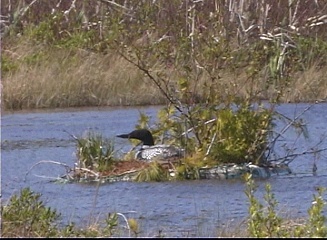 In short, after several years placing nesting rafts on various places around the lake (some still in position and awaiting prospecting loons), a loon pair nested in the Rocky Point cove where two rafts had been placed in spring of 2015 (one a leftover from 2014). 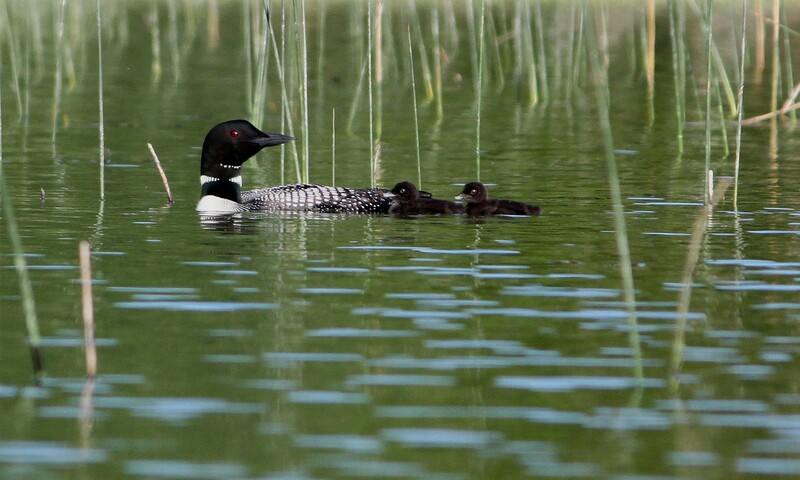 The loons laid and hatched two eggs, and successfully raised and fledged both chicks to migrate in the fall. This is the first nesting of loons on this lake in decades. Especially great news is that the two chicks fledged last season, and all subsequent chicks will all likely return to Crooked Lake in the future to seek nesting as breeding adults. Rafts already await them. Frankly, I was going to try and mention names of those involved in this success, but instead will direct you to previous posts on this site for you to review. I’m afraid of leaving someone out. Let me also thank all the people, businesses, and organizations listed on Looncorps’ website, along the left-hand column (under Donation Canister Locations and Looncorps Supporters) for their help and contributions to this effort. When you visit them, or their places of business, know they are making a difference in preserving and recovering loon nesting habitat in our area. 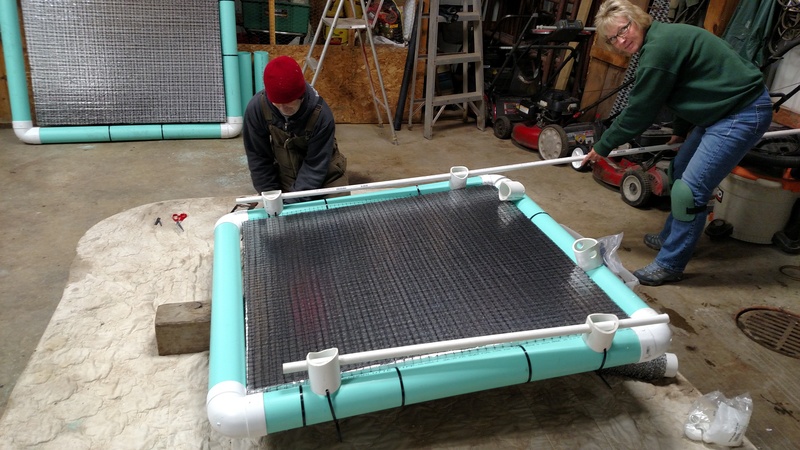 Posted by Jeff Lange on January 13, 2016 in Lake Profile, Lakes Restored, Uncategorized and tagged common loons, Crooked Lake, Emmet County, Loon nesting raft, Looncorps. This is one year to watch out for any loons left on inland lakes. Our lakes are very late in freezing this season and loons have been seen on Crooked, Round, Burt, etc… recently. As these lakes freeze with the coming cold, loons left on them, especially immatures, might find themselves trapped by closing ice. Adding to this trouble is the fact that, though loons have been molting for some time now, up till now these have been feathers not used for flight. 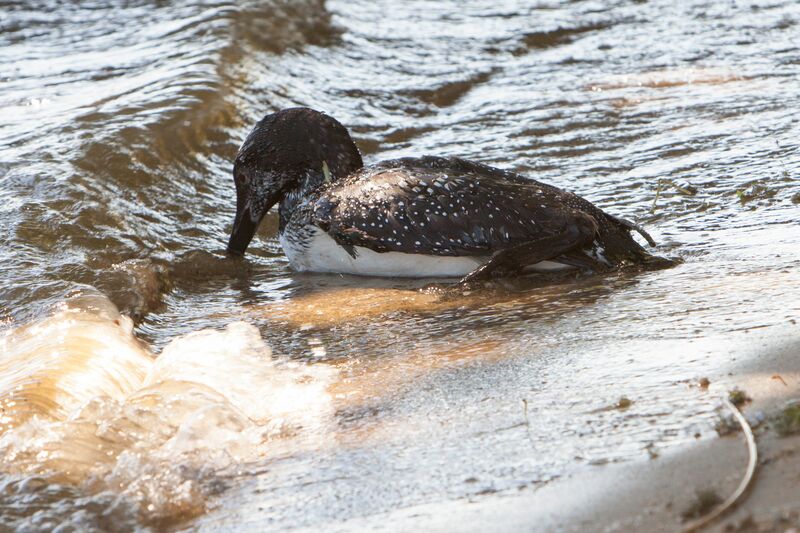 Soon however, loons will molt their flight feathers, which normally occurs after they’ve reached their wintering grounds. 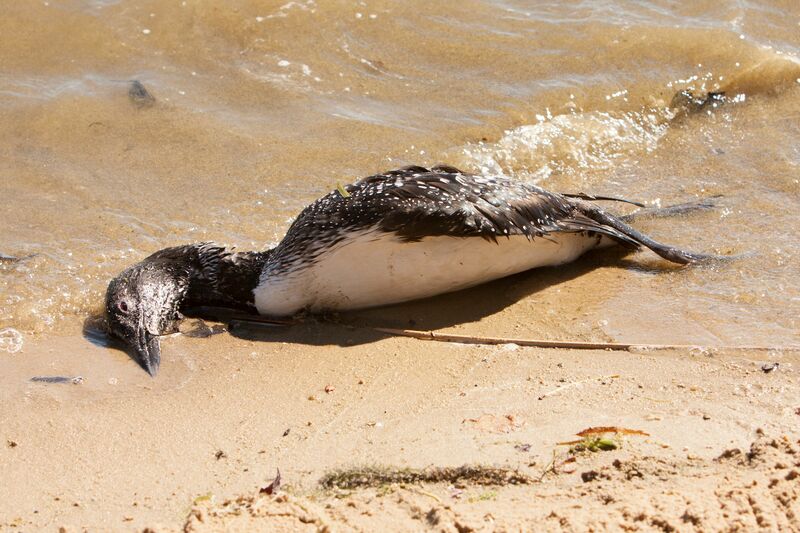 Loons that have hung back on inland lakes are in severe danger if this molt occurs before leaving, because then they’re flightless for 6-8 weeks, meaning when the lakes freeze, they’ve nowhere to go. 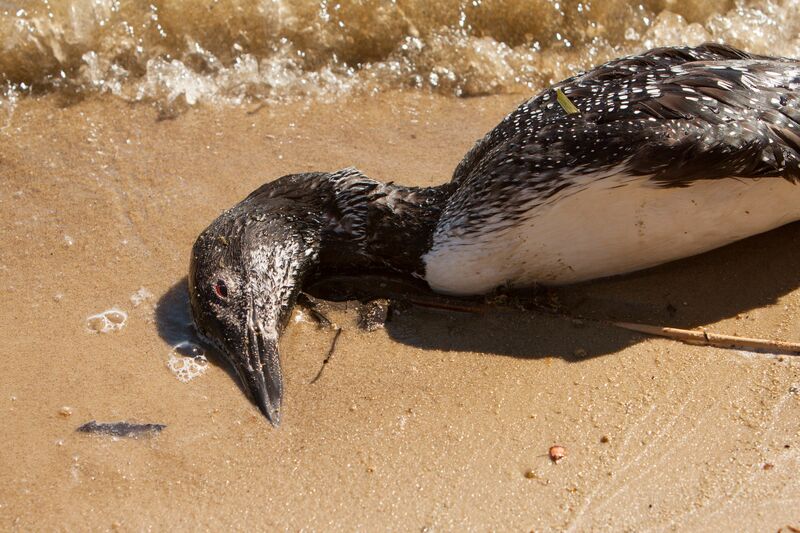 In 2007, 17 loons died on a New Hampshire lake because they stayed too long. So, as lakes freeze, keep on the lookout for any trapped loons this season. It’s very dangerous to rescue birds on newly frozen ice and partially frozen lakes, so report any stranded loons you see to this site. 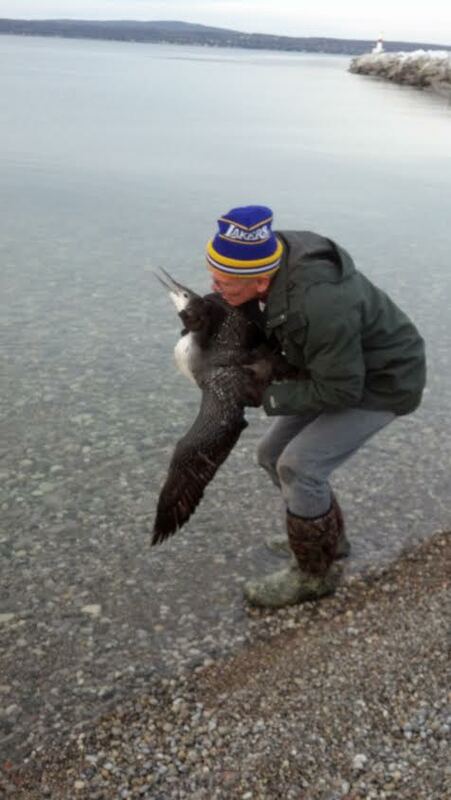 Posted by Jeff Lange on December 29, 2015 in Hazards To Loons, Loon Rescues and tagged Climate Change, common loons, northern michigan.